BEST MINCE ON TOAST EVER! With the recent announcement of the 2019 Beef and Lamb Excellence Award holders, I decided to get out amongst the action on announcement day and see what all the fuss was about. My choice was to head out of the city to Coatesville, just north of Auckland and visit The Black Cottage Café. Nestled in the countryside, this delightful café was bustling with lunch time visitors. We were warmly welcomed by owners Banu and Sulo who had just received their second Excellence Award in a row. We browsed the lunch time menu which has some pretty substantial dishes on it matching their philosophy of serving good, honest, hearty food to fill their customers up and keep them coming back for more. I decided to try the mince on toast as I was intrigued to see how an award-winning chef would put his special take on such a simple and classic dish. They say you eat with your eyes and certainly the presentation had the wow factor! From the first mouthful I knew the mince was on another level with its flavour and texture. I suspected the reason why, and this was confirmed when chef Sulo told me he makes his own mince using beef eye fillet and this certainly gave the dish the x factor! 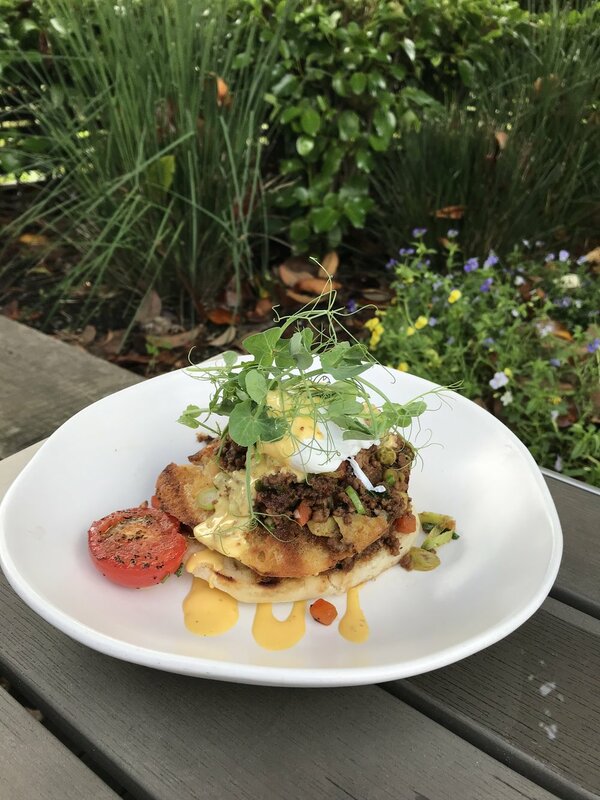 The savoury flavours of the mince were perfectly enhanced with the creamy hollandaise and a impeccably runny poached egg sitting atop and the toasted Turkish Pide was the perfect vehicle to hold everything together.